The Green Girl attended the Sole Runners Summer Season Kick-Off and Running Gear Discount Party last night at Road Runner Sports in Torrance. Sole Runners received a 15% discount that could be combined with Road Runner's VIP member discount. 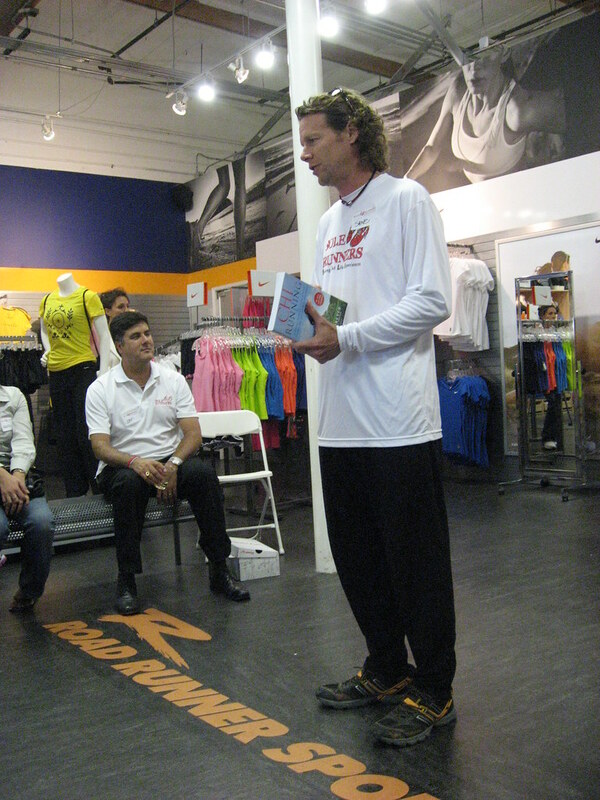 I enjoyed listening to Coach Steve as he shared his marathon training experiences with the group. He talked about how he had worked with City of Hope to create their Walk for Hope 5k/10k series and marathon training program. Coach Steve gave a high level overview of the Sole Runners program and handed out sample marathon and half-marathon training schedules. After the session, I headed out for a short run with one of the Sole Runners, Michelle. 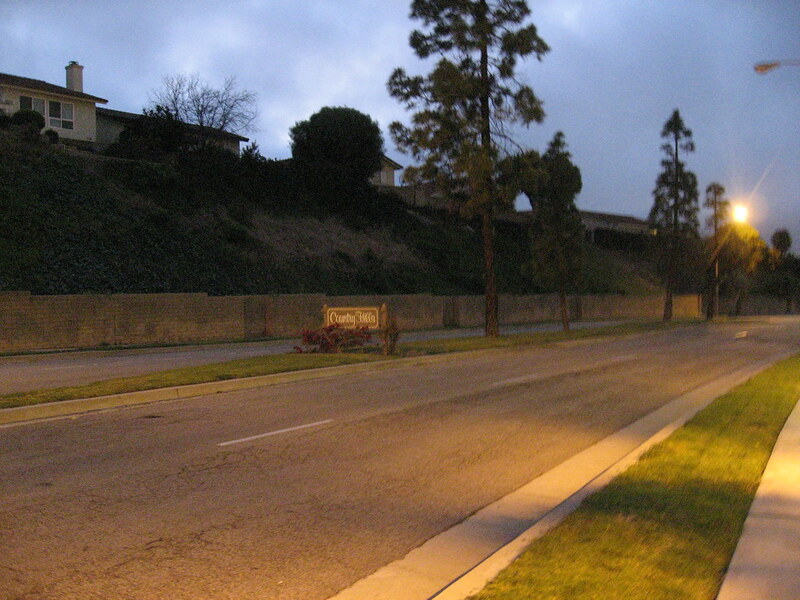 We headed west on Crenshaw towards Country Hills. This was my third run in my new shoes. So far, they feel really good under my feet and my arches are well supported. Since I started running in the 1012's on Saturday, all my posterior tibial pain has gone away. I'm really looking forward to taking them out on a longer run this Saturday. 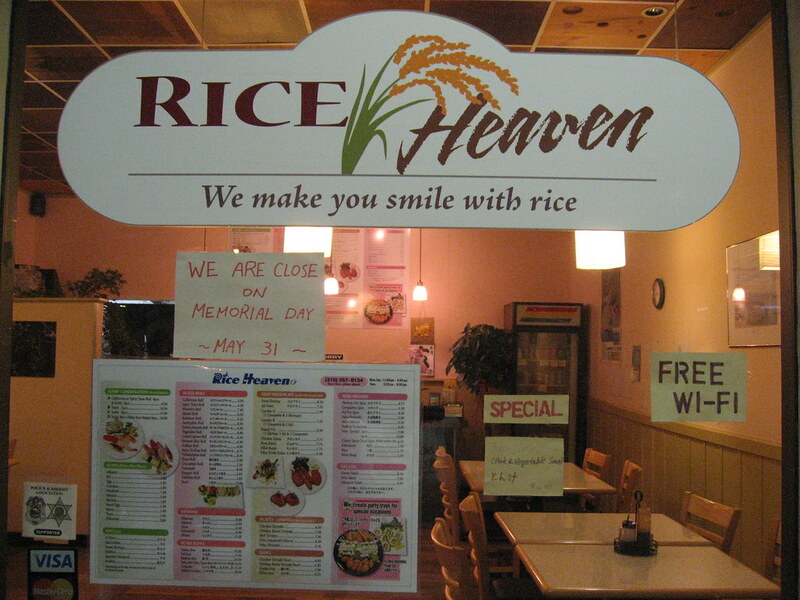 We ran past a Japanese restaurant, Rice Heaven, where they proudly proclaimed 'We make you smile with rice'. Dusk is my favorite time to run, especially in the warmer months. I feel much more relaxed when I run later in the day. I find comfort in the diffused light and the way it softens the sky. As the last of the sun's illumination faded, we passed De Portola Park. 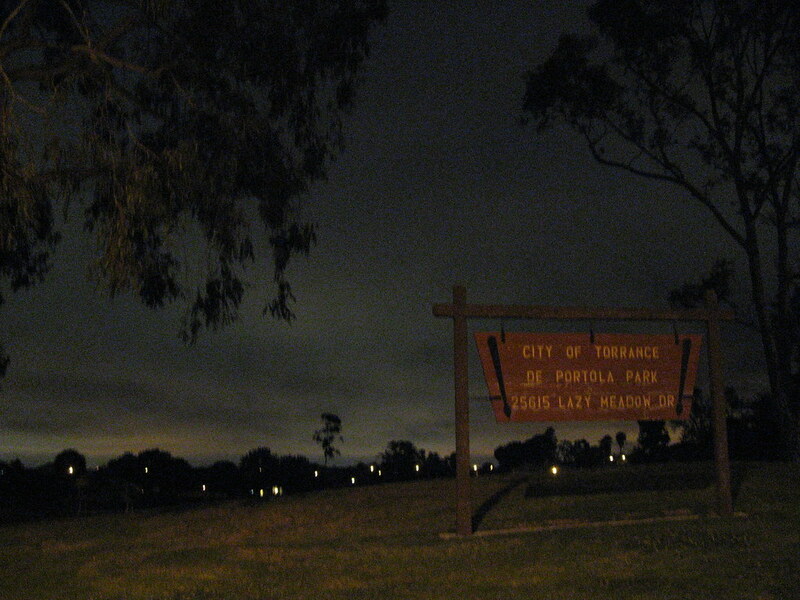 We ran in darkness for awhile and then headed back to our cars. Glad the new shoes are working out for you. Hope they behave well on your long run. Jealous of your proximity to Road Runner Sports. Probably a good thing for my wallet that I can only reach them virtually. Sound like you had a great night! What a deal 15% off PLUS VIP, good thing I was not there :) I am so happy your shoes are working, I hope they keep it up! Thank you so much, Evolving, Rad Runner, and Tim. I can't tell you how relieved I am that these shoes are working for me because I was seriously starting to run out of options. The width of my feet really limit what shoe brands I can wear because I need so much space in the toebox. Sounds like good quality running time. Glad the shoes are working.